Orlando, Fla., Dec 10, 2009 -- Dodge today pulled the cover off the newest special-edition model of the 2010 Viper SRT10 lineup. 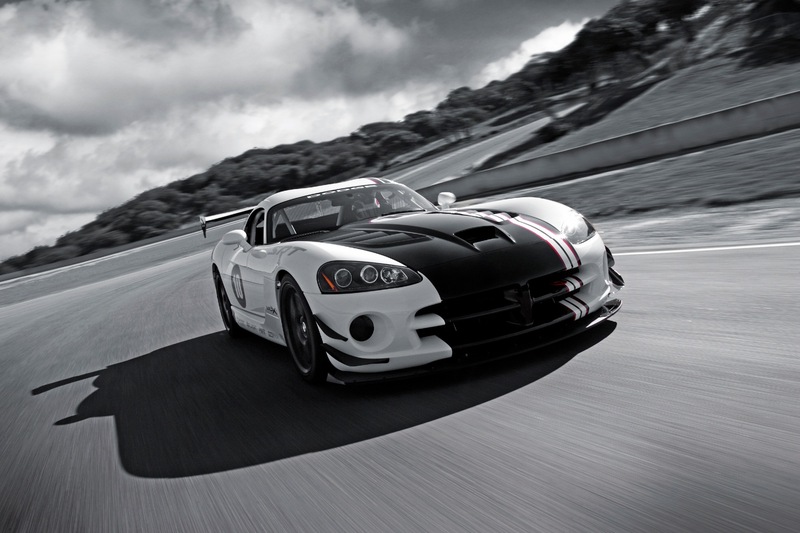 The Dodge Viper SRT10 ACR-X is a turn-key, non-street legal race car that is slated to make its on-track debut in the summer of 2010. 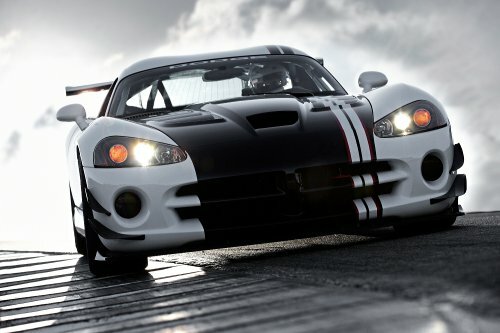 "The Dodge Viper ACR-X takes the performance attributes of Viper to an even higher level for a wide range of drivers starting with the grassroots racer all the way up to the professional," said Ralph Gilles, President and CEO, Dodge Brand. "This project is a result of many years of performance engineering expertise from our SRT team, combined with the passion and dedication of Viper Nation, to keep the Viper racing tradition going strong on tracks around the country and the world." 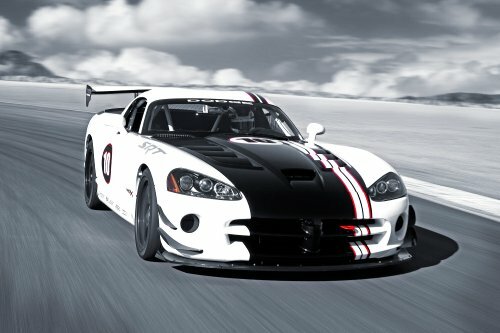 In what will be the final year of production for the current generation Viper, the ACR-X is the third limited, special-edition model to be introduced by Dodge. 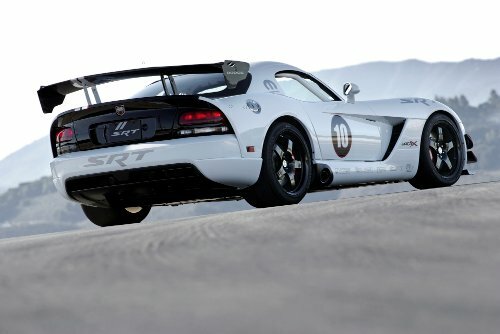 "We're going to make 2010 the most exciting year for Viper yet with specially developed cars for the street and the track," added Gilles. "The ACR-X is targeted at road-racing enthusiasts who want to successfully compete in our ultimate American sports car." Last month, the SRT team used a testing session at Laguna Seca raceway to shake down the Viper ACR-X for the first time. Behind the wheel was professional driver Kuno Wittmer from the SCCA Pro Racing SPEED World Challenge Touring Car Championship series, who was able to run consistent 1:31.00 lap times around the 2.238-mile, 11-turn course. 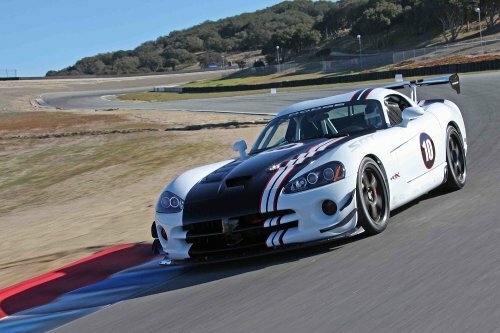 Wittmer's lap times were more than 3 seconds faster than the street-legal Dodge Viper SRT10 ACR that holds the production car track record at Laguna Seca raceway. 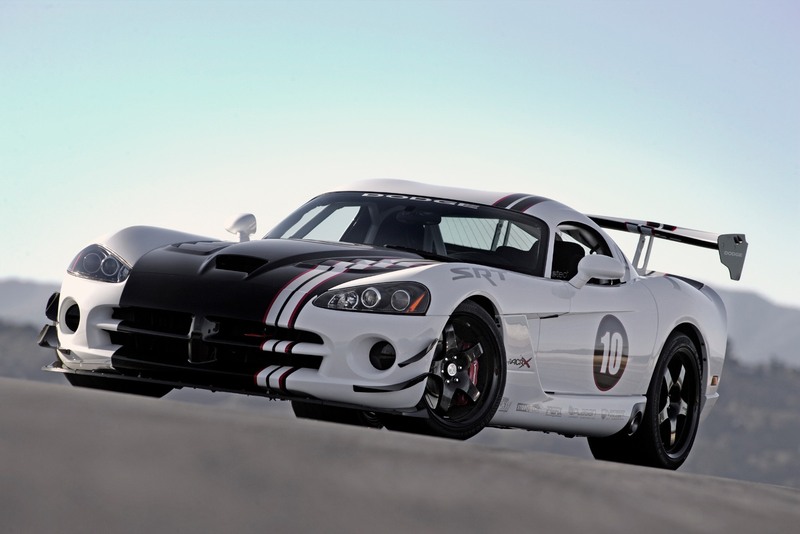 "The Dodge Viper ACR-X is incredible," said Wittmer. "After a short warm up, I was running lap times as quick as exotic GT race cars. 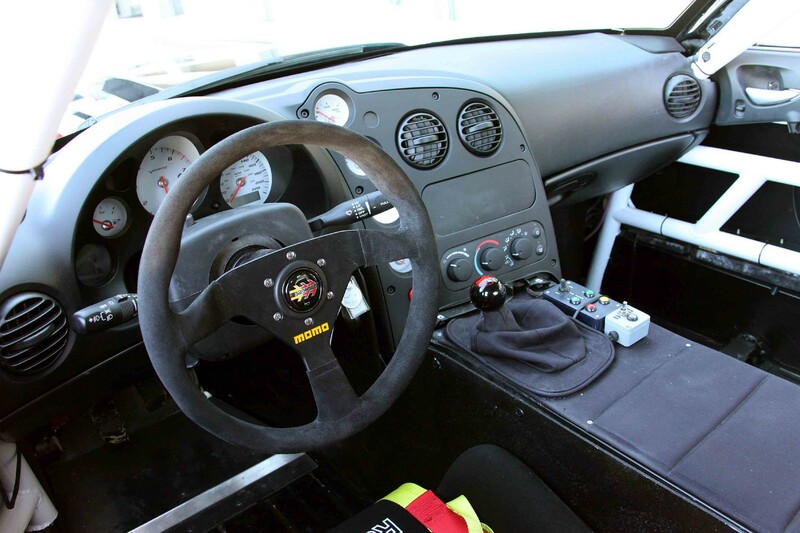 I was blown away by the power and acceleration, and even more surprised at how the ACR-X navigated the challenging Laguna Seca corners and how friendly it was to drive at the limit." "All aspects of the car work together perfectly to plant all that horsepower and torque without issue," Wittmer added. "This will be a great package for someone coming out of grassroots racing with a desire to step-up to GT level competition. Dodge nailed it with this one!" Manufacturer's Suggested Retail Price (MSRP) for the Dodge Viper SRT10 ACR-X will be approximately $110,000. Production is slated to begin in Spring 2010. The Dodge Viper has enjoyed a successful racing heritage that began in 1996 with the original Viper racing entry, the GTS-R, which earned five international GT championships and the 1997-1999 FIA GT championships. It also posted an amazing overall win at the Rolex 24 Hours of Daytona in 1999 -- the first for a production-based American car. 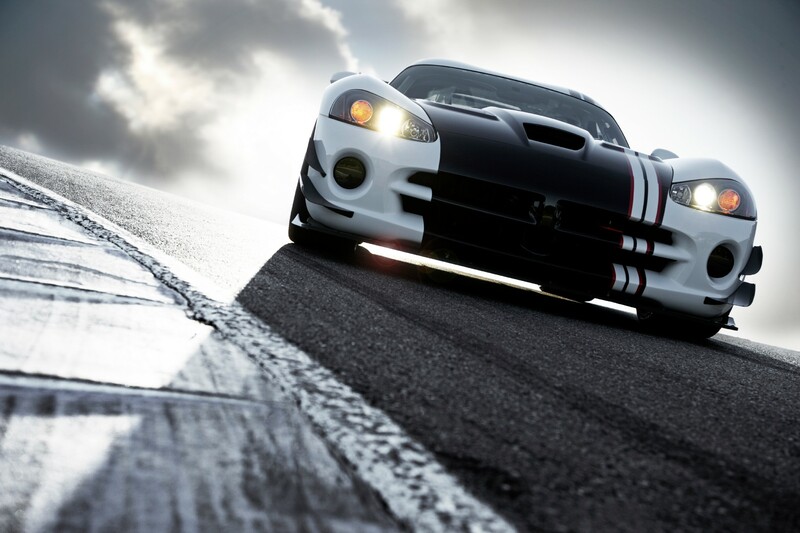 Dodge introduced two new vehicles last year: the all-new 2009 Dodge Journey, the brand's first crossover vehicle and the 2009 Dodge Challenger, a modern-day American muscle car. Dodge also celebrated the 25th anniversary of the minivan during the 2009 model year. With more than 65 minivan-firsts introduced since 1983 and more than 12 million Dodge and Chrysler minivans sold, Chrysler Group LLC has solidified its leadership in the segment. J.D. Power and Associates further acknowledged this leadership by naming the Dodge Grand Caravan the Most Dependable Van for 2009. The 2010 Dodge Grand Caravan continues to set the mark in the minivan segment with unsurpassed fuel economy of 17 city / 25 highway mpg and minivan-first innovations including the segment's only Stow 'n Go and Swivel 'n Go. seating and storage systems. The 2010 Dodge Avenger, with ESC, also earned the 2009 Top Safety Pick rating from the Insurance Institute for Highway Safety (IIHS).